When the medals are tallied, will Jamaican and Caribbean athletes be giant slayers at the London 2012 Summer Olympics, July 27 to August 12, where the tracks, pools and pits are ready for the runners, jumpers, divers, throwers and other performers? A PricewaterhouseCoopers (PwC) model is forecasting that among insular Caribbean countries Jamaica will retain its medal tally of 11 as compared to Beijing 2008, while Cuba’s total will decline to 20 from 24, even as superpower nations the USA, China and Russia retain their top three status with some juggling of their numbers. “In general, the number of medals won increases with the population and economic wealth of the country, but less than proportionately…,” wrote PwC’s UK Chief Economist John Hawksworth, in his Modelling Olympic performance -Economic briefing paper, released in mid-June. 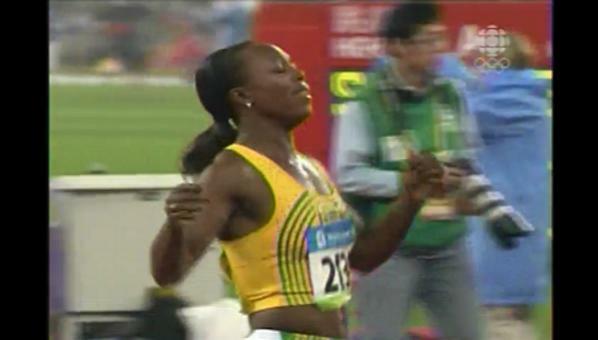 Against the background of Jamaica’s 11 medal take at Beijing, led by the world’s fastest man, Usain Bolt, and Veronica Campbell-Brown in the sprints, and with the country’s relatively small population coupled with an economy under siege, Abeng News Magazine asked Hawksworth for his explanation for the country’s overachieving performance. Hawksworth says once such a sporting tradition has been established, success tends to breed success as young athletes follow their heroes into those same sports. “We can see a similar thing happening in the UK recently with cycling and rowing,” he added. According to his analysis home advantage could once again play a part in how the Olympic medals are shared in August; but the superpowers of the US, China and Russia are again set to battle it out at the top. It’s the fourth time PwC has published an analysis of how medal performance at the Olympic Games can be linked to such factors as past Olympic performance, economics and state support for sport. PwC’s paper updates these estimates to allow for actual results in Beijing 2008. Now it is no longer the host country, China may find it more difficult to stay ahead of the US (as it did in Beijing on gold medals, although not total medals won). The PwC model suggests that the British team could win around 54 medals this time around, beating an already exceptionally good performance of 47 medals in Beijing due to home advantage, which has proved significant in all other recent Olympics except Atlanta in 1996. Russia is projected by the model to continue to perform strongly relative to the size of its economy in third place (68 medals), but it does continue to drift down the table relative to the heights of its performance in the old USSR era. The model still suggests that India is a significant underperformer relative to its population and GDP, with a model target of around 5-6 medals for London after allowing for past performance. The most plausible explanation is that, with the exception of hockey, Indian sport tends to focus on events that are not included in the Olympics, notably cricket. At Beijing, Jamaica topped the countries with Caribbean borders based on gold medals won but Cuba gained the most medals.